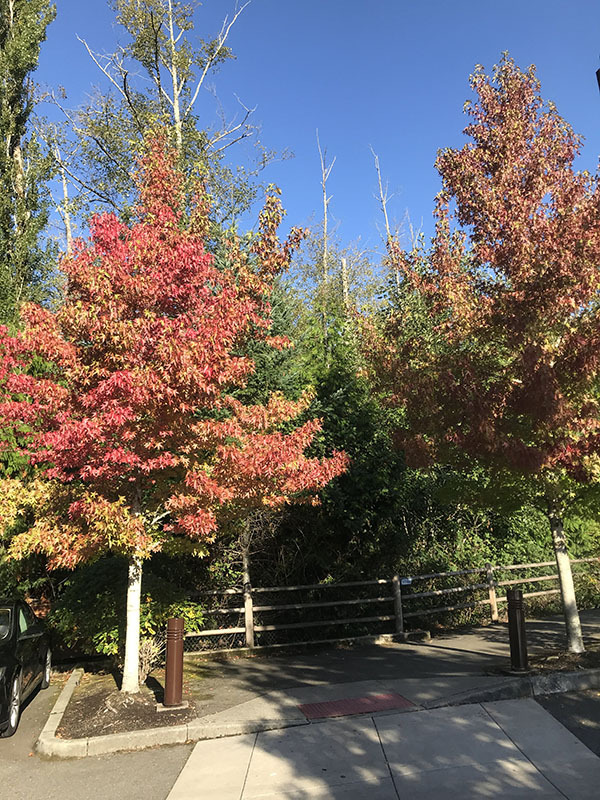 Last week was our last full week in the Seattle area. Needless to say, it was a busy week! We tried to pack up, clean, see as many friends as we could, and enjoy our weekend in the area. 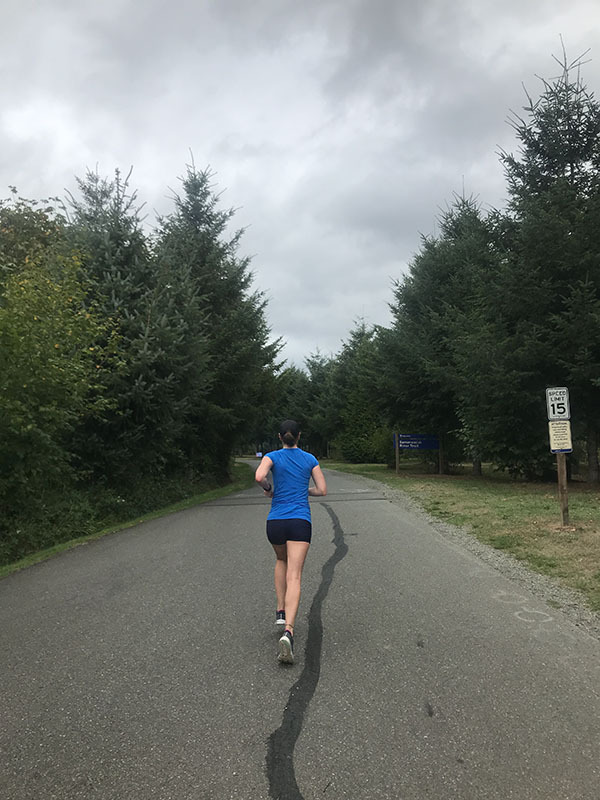 Training took a backseat, in part because I could feel the physical toll of stress on my runs. I scaled back accordingly, especially because I didn’t want to push too hard and then not recover well. Ollie and I ran a rather boring route, with a majority of the run being done in circles around a just-shy-of-1/2-mile loop. 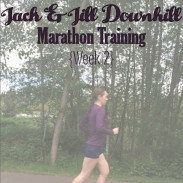 That loop works great for speed work, but not so much for an easy run. Ollie decided for us when we were done on that loop, and so we finished off on some hills. 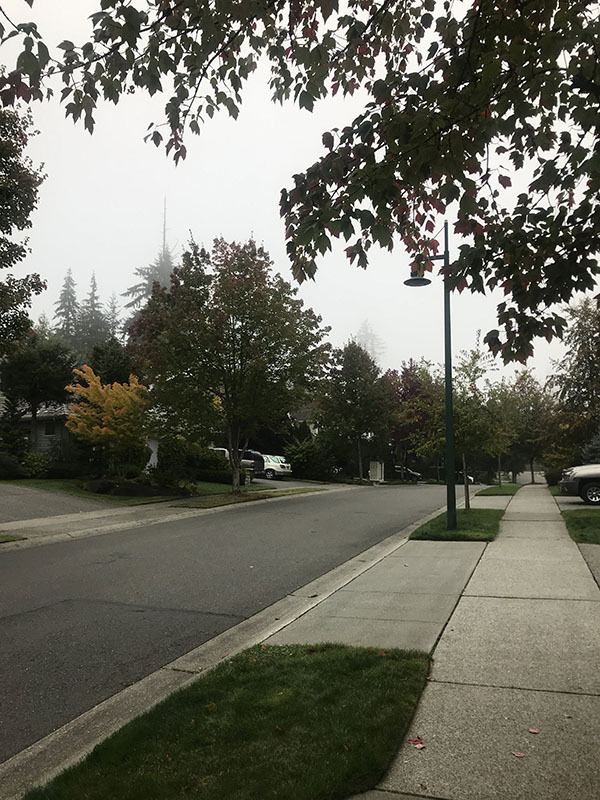 A thick fog covered our apartment complex and the surrounding park, so I opted not to run. Quite honestly, I’ve mentally checked out of running the same couple routes by our apartment. Lately I’ve been avoiding some nearby routes. 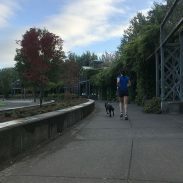 The increased presence of panhandlers has made me anxious in light of the recent murders of female runners and I’m just not willing to take risks like that. Instead, I did Pilates, some band work, and push-ups. The fog was remarkably dense this morning, to the point where it obstructed the view of the tree line. 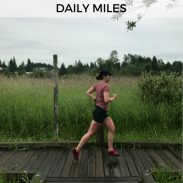 I could not get into a groove on this run and ended up cutting my planned 6-mile tempo short, with only 3 miles at tempo-ish effort (I couldn’t quite hit the paces) and 6 total for the day. After the run, I completed a short strength circuit: 3 sets of kettlebell swings, kettlebell squats with an upright row, and kettlebll single leg deadlifts, using the 26-lb bell I have at home. This run felt great. I ran with Ollie for four relaxing miles between packing up boxes and dropping off stuff for donation. This run was not pretty. I attempted to do my peak long run early, before moving got crazy. Once we arrive and settle in Indiana, it will be too close to the race to actually reap any physiological adaptations and that was my objective: to apply a particular stress. In that sense, I achieved the purpose of the run, but I didn’t hit the paces I wanted and really flagged near the finish. After 2.5 miles at an easy effort, I ran 3 x 2 miles at half marathon effort with ~1/2 mile easy jog in between. The first two-mile repeat logged in at a 7:18/mile pace, which was pleasing. The second repeat slowed down to a 7:21/mile pace, which was still good but not quite what I was aiming for. In the third repeat, I slowed down to a 7:24/mile, about 10-15 seconds off of my goal pace for the workout. But, the effort was there! I was drenched in sweat and fatigued, so I stopped for a few minutes to rally. The final 3 miles were slow and even included brief walk breaks near the end, but I got the run done. It was Ryan’s last day at work, so I hung out at his office for his farewell party. 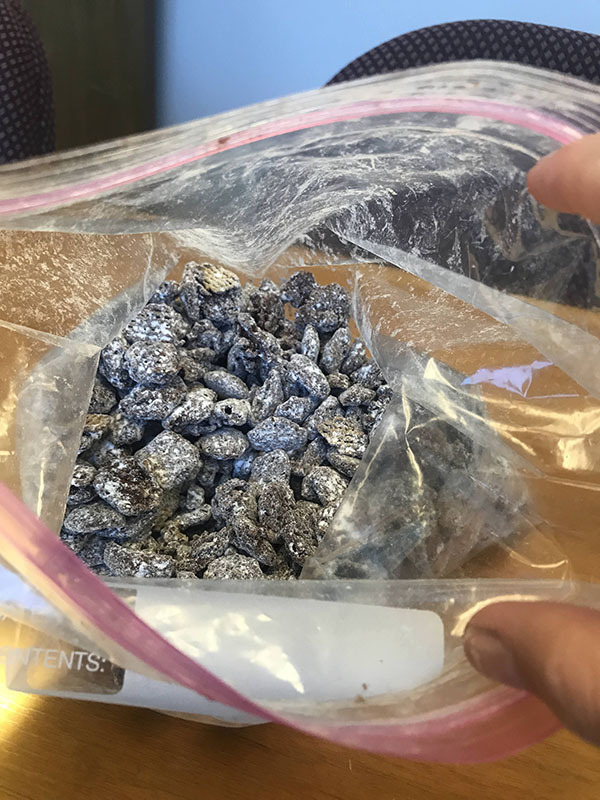 One of his co-workers made puppy chow and I eagerly replenished my calories with it. Most of the day was spent running errands, although admittedly we spent far too much time at REI. We went in for socks, perused cross-country skies, and left with winter boots, a vest, hydration vest, and no socks. I joined a friend for a trail run at St. Edward’s State Park. 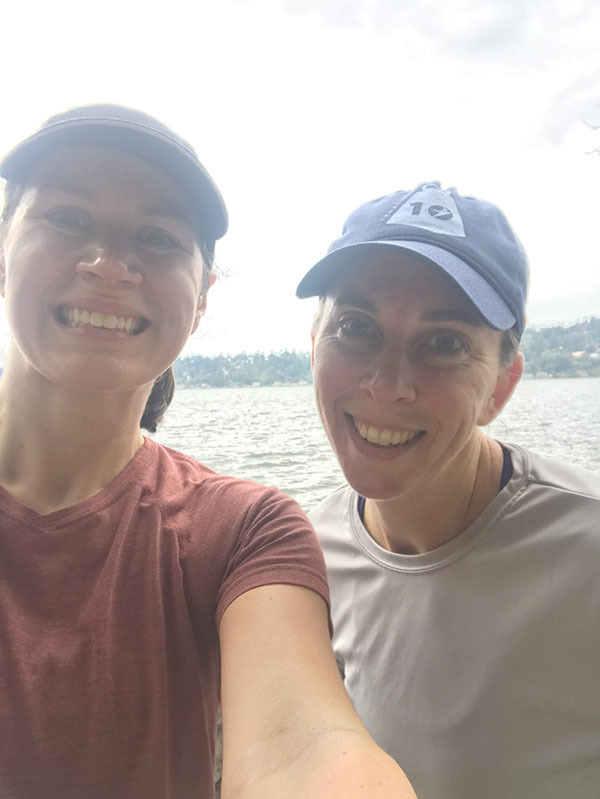 It was so fun to get in a last run with her before I move, especially on the scenic trails around Lake Washington! After the run, I met Ryan at the gym and squeezed in a short kettlebell workout. After that, more cleaning and preparing for the move! When do you choose to bail a workout? It sounds like you made some smart decisions by cutting back a bit this week. I’m glad you got to enjoy your last full week before the move! Hope it goes well. Clearly you have a lot going on now! Running shouldn’t add anymore stress. Smart move! You must be super excited!! !…and obviously stressed. It’s SO good that you’re listening to your body and not doing too much during this time. Even the way you managed your long run was great. My coach was just emphasizing what stress can do to my training cycle and not to take it for granted – because that’s what I usually do! You may be cutting back, but you still managed to fit in a lot so close to moving time. Have a safe move this week! I am quickly feeling like trails for my Sunday run may become a necessity. So glad we finally found the time to sync up and enjoy some time out there!! Going to miss you!